You are here: Home / Digital Pianos / What’s the Best Portable Digital Piano? What’s the Best Portable Digital Piano? In this article, I’m going to help you figure out what portable digital piano is the best one for you. We’re going to examine what features some of the top portables on the market today possess, and we’ll also give you a short list of digital pianos to strongly consider based on specs, size, weight, and of course price. Below, please use our interactive table so that you can better compare the top portable pianos available on the market today. You can compare these instruments against one another based on price, number of keys, weight and more. What Makes Portable Digital Pianos Great? Portable digital pianos, or “slabs” as they’re often called, try to offer the ease of use of a portable machine and the technology of a digital piano. They are great instruments because they offer so much versatility and can be used in a wide variety of settings. 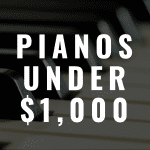 Also, digital pianos that are portable cost a whole lot less than upright or vertical digital pianos, therefore making them much more attractive to people of different levels of expertise. It’s not always easy to put an exact specification on the type of people that will buy one piano as opposed to another. But with portable pianos, usually the people who buy them are looking for something that can assist them in their all around endeavors, ranging from practicing at home, to performances and travel, to working in the studio. Because of this wide range, almost anybody can use them. Many times, younger piano players or musicians looking for a primary or backup machine might be looking into this type of piano. This is why it is so important for people to really know the definitions behind the different kinds of pianos. By being ignorant to the types of pianos on the market, many people may unknowingly use a piano that is not suitable for them. And if you do that, you learn bad habits by playing on a piano that’s not best suited for you, along with wasting money on an instrument that you’ll have to upgrade from because you’re not satisfied with the original purchase. The good thing, however, is that many digital pianos being made today are engineered to accommodate a wide range of people, so even if you make a mistake with a piano, you may still find that it has everything you need it to offer. Digital pianos that are portable are much different in size, shape and weight compared to other types of pianos, and they many times have interfaces and other features that make their appearance very different, too. Often, they are made to have a much slimmer design profile than other models, and thus many times engineers and manufacturers have to make some sacrifices when it comes to hardware and technology within the machine itself. Also, because of their portability, many times these models do not come with the full range of 88 keys (containing 7 octaves and some change), but rather consist of 76 keys and sometimes 61 keys. So, how does chopping down the piano keybed affect you as a player? Well, this is actually what the user (likely a beginner to intermediate player) exactly needs, as in the end, you find yourself not missing the extra range because you’re just learning the instrument or simply taking advantage of many other features. These pianos sometimes come with some of the same specifications of stage pianos too, as they can be built for travel and for live performances at multiple venues. Many slab pianos are built with standard hammer action key systems, which give users the feel of a real piano. These key actions are usually not the highest end options the manufacturers have to offer, however, because if those high-end options were placed in the machine, the piano itself would be too heavy or too bulky. And if that happens, all portability is lost. Also, these pianos are built with mid range tone generation sound engines, which similar to the hammer action systems are not always the highest end option provided. But the hardware on the machine is usually more than enough to get the job done in most situations. 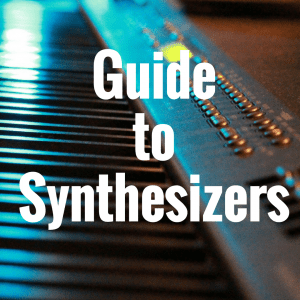 We start with some of the options that fall into the beginner digital piano category, where the specifications and price are more on the lower end. But, the barrier to entry is lower, as well! The Yamaha P-35 is a piano that can be considered in both the beginner and the intermediate range (even the advanced range for some, when you really break the piano down). In short, this piano is really suitable for just about anybody, and it is so well put together that it should be able to last you through a good portion of your playing career. It has a beautiful look with a full range of 88 keys supported by Yamaha’s Graded Hammer Standard (GHS) key action. It has Advanced Wave Memory (AWM) tone generation on board, and is fitted with 10 voices. It is things like the questionable 32 notes of polyphony that ultimately land the P-35 in the beginner category, in my opinion, as any high level slab should have at least 64 or 128 note polyphony. 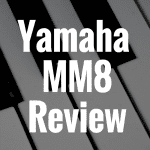 NOTE: The Yamaha P-35 has been replaced by the Yamaha P-45, which we have reviewed here. 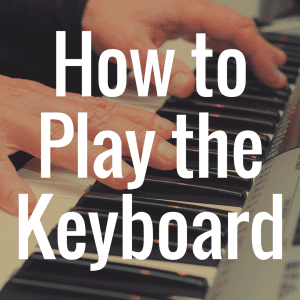 If you consider yourself to be more of intermediate skill on the black and white keys, a strong option to consider is the Casio Privia PX-350. This piano has a full range of 88 keys, with 3 sensors for each key as part of the Tri-Sensor Scaled Hammer Action II key system. This piano has a very suitable 128 notes of polyphony, along with an amazing 250 built-in tones and 180 built-in rhythms. You can easily see how, as the piano rises in level, the more options, features, and hardware are available on the machine. The PX-350 uses the AiR (Acoustic and Intelligent Resonator) and goes for around $700. NOTE: The Casio PX-350 has been replaced by the Casio PX-360, which we have reviewed here. For the advanced range, you can almost get dizzy thinking about all the great options that are available. But one great option is the Roland FP-80. This piano is an awesome portable model that appeals to every characteristic of the digital piano buyer’s needs. It has the full 88 key range, supported by Roland’s Ivory Feel S keyboard with escapement. This hammer action system is a little bit different than the Ivory Feel G keyboard, and in my opinion its definitely better, more crisp and more defined. It has 128 notes of polyphony supported by Roland’s SuperNATURAL piano sound engine, along with 100 levels of Key Touch sensitivity and a bevy of sounds effects to go along with it. This piano also has USB connectivity, which allows it to be able to connect to a tablet or recording environment, or upload recordings to a computer. This definitely won’t be a cheap digital piano however, as it can be found for around $2000 online. 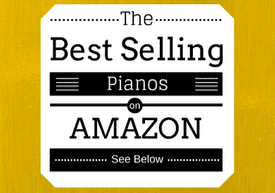 How Do I Find the Best Digital Piano Available? What’s the Best Entry-Level Digital Piano? What’s the Best Intermediate Digital Piano? What’s the Best MIDI Controller With Weighted Keys? 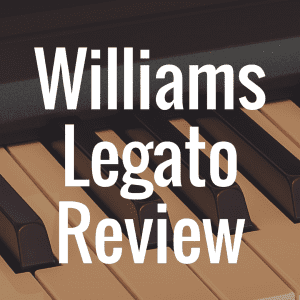 If none of these pianos suit you, you can always return to our homepage to find well over fifty reviews at your fingertips. Thanks again for visiting! 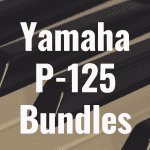 Are Yamaha P-125 Bundles Worth the Money?